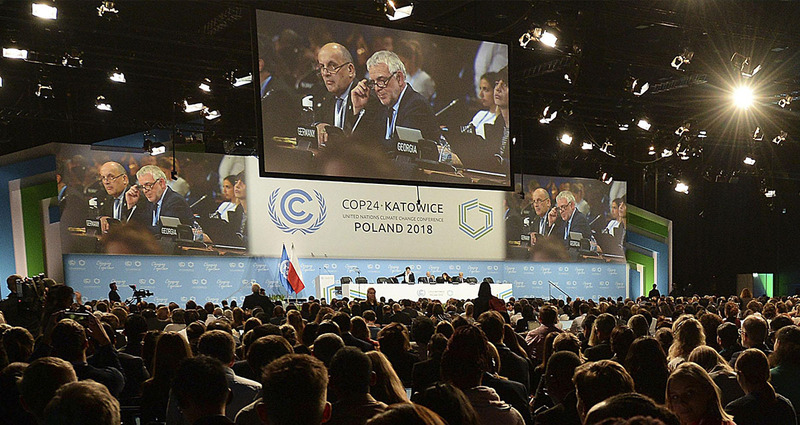 CIRSD’s analyst Anja Jevic attended the 24th Conference of the Parties to the UN Framework Convention on Climate Change (COP 24), the most prominent international climate change set of negotiations since the adoption of the Paris Agreement in 2015. 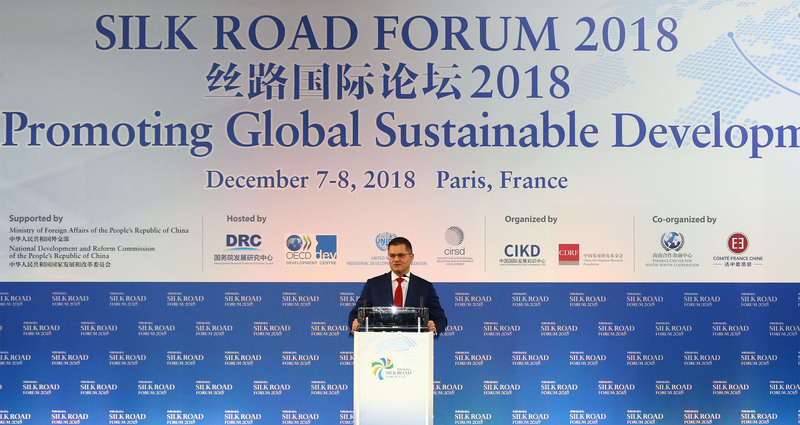 The 2018 Silk Road Forum took place in Paris on 7 December, with Vuk Jeremic delivering a keynote address to an invitation-only audience of several hundred political, business, and think-tank leaders from all corners of the world. 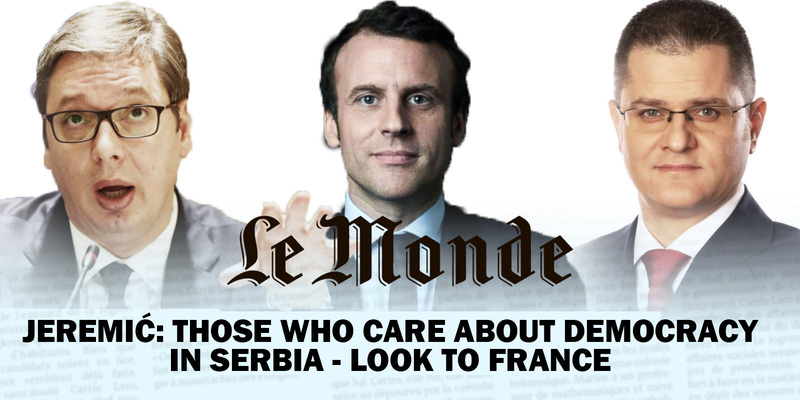 On the occasion of the visit of the President of Serbia Aleksandar Vucic to Paris on 17 July, Vuk Jeremic, the leader of a centrist opposition party, remonstrates for the development of democracy and human rights in Serbia and the Balkans. The Center for International Relations and Sustainable Development (CIRSD) and the weekly news magazine “Vreme” co-organized a panel entitled “Geopolitics of confusion: How long can it last?” on June 26th, 2018. 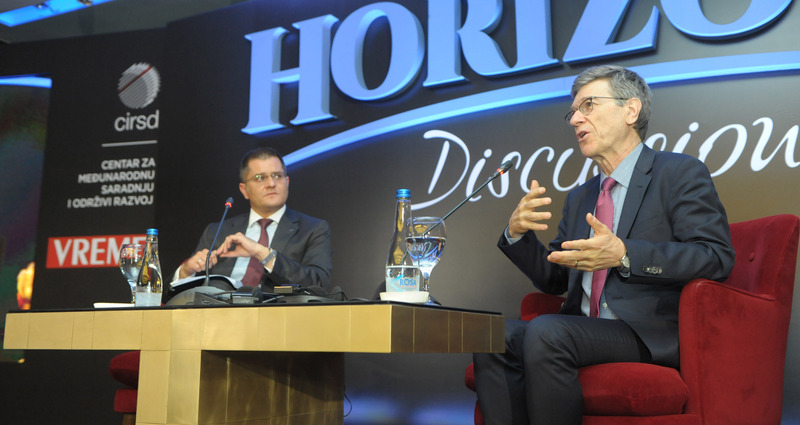 Held in the Metropol hotel in Belgrade, the discussion featured Vuk Jeremić, the president of CIRSD and People’s Party, and Jeffrey Sachs, one of the most influential living economists and University Professor at Colombia University. 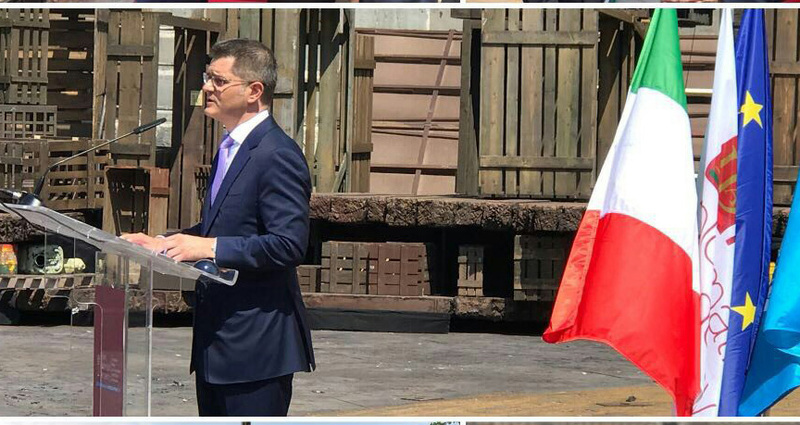 On 10 June 2018, CIRSD President Vuk Jeremic gave the commencement address at the prestigious Italian Diplomatic Academy in front of an audience of thousands in the Verona Arena, one of Italy’s most spectacular Roman amphitheaters. Political extremism and radicalization in liberal democracies are not new phenomena. 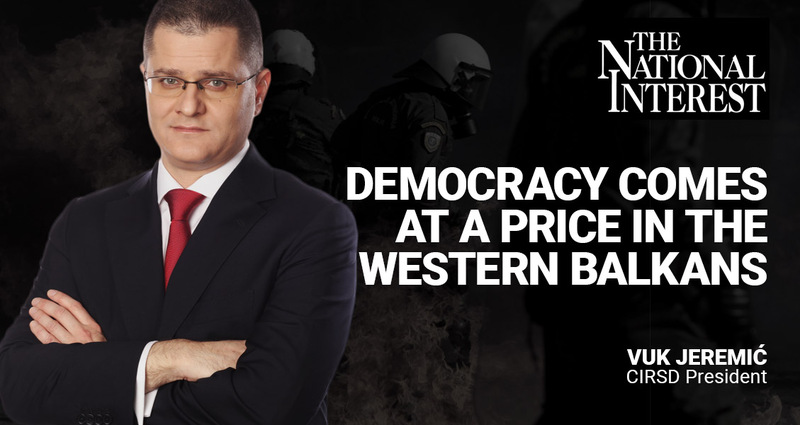 For the past several hundred years, Western thinkers have struggled to determine how far a citizen of a liberal democracy could legitimately go in expressing his or her beliefs and, more importantly, acting on them. 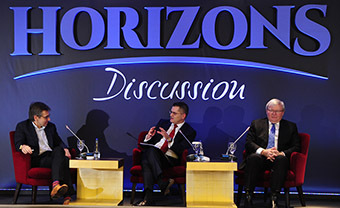 The Center for International Relations and Sustainable Development held a Horizons Discussion entitled “The Belt and Road: Pledge of the Dragon” on February 19th 2018 in Belgrade. 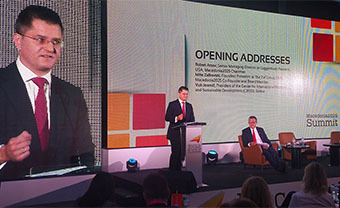 Moderated by CIRSD President Vuk Jeremić, the discussion about current world affairs featured one of the most influential and respected commentators on international affairs, Ian Bremmer and the former Prime Minister and Foreign Minister of Australia, Kevin Rudd. 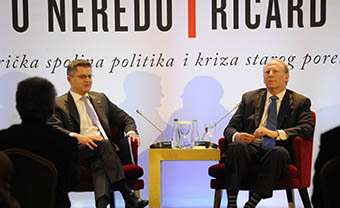 The Center for International Relations and Sustainable Development (CIRSD) launched the Serbian edition of the latest book by Richard Haass, president of the Council on Foreign Relations, the most influential foreign policy think-tank in the world, entitled "A World in Disarray". 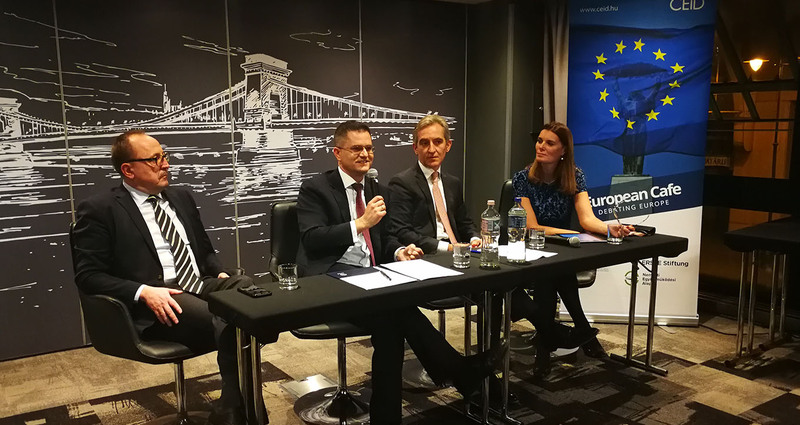 Besides the author, the Belgrade launch featured remarks by CIRSD President Vuk Jeremić. 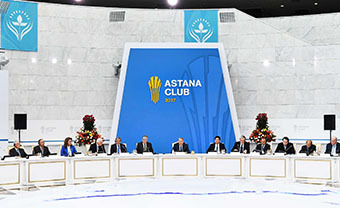 In mid-November 2017, CIRSD Senior Fellow and Horizons Editor Damjan Krnjević Mišković attended the annual meeting of the prestigious Astana Club, the Eurasia region’s most prestigious high-level, off-the-record, invitation-only event.